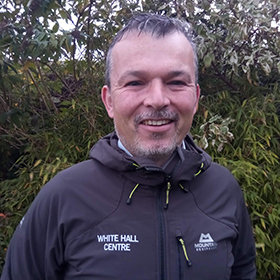 Dan Riley is programme Leader for Business Development at the White Hall Outdoor Education Centre in Derbyshire. He is a qualified teacher and has worked in outdoor education for most of his life. As well as working for schools, colleges and universities he spend a number of years working in Sports Development for British Orienteering. Dan is a keen fell runner and enjoys commuting to work on his bike. Most of all Dan is passionate about getting as many people as possible learning, moving and enjoying life in the outdoors.